July is National Ice Cream Month, and just because dogs shouldn’t eat human ice cream doesn’t mean they have to be left out of the fun. 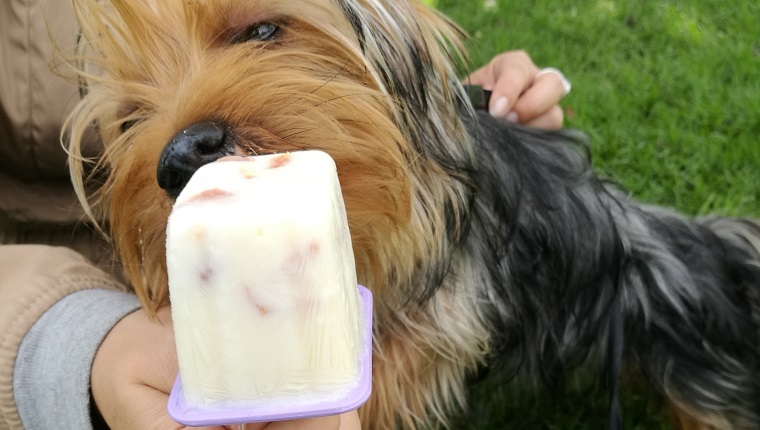 There are plenty of dog-safe alternatives to human ice cream, which is loaded with sugar, lactose, and artificial sweeteners and flavors, all of which can be toxic for dogs or make them sick. These simple recipes will be fun for you to make and even more fun for your dog to eat, so include your pup in the National Ice Cream Month celebration in July with these seven dog-safe ice cream alternatives. A few words of caution before you start, though. You should always consult your vet before sharing food with your dog for restrictions and safe serving sizes. Overfeeding your dog can cause gastrointestinal issues, and these treats should all be enjoyed in moderation. 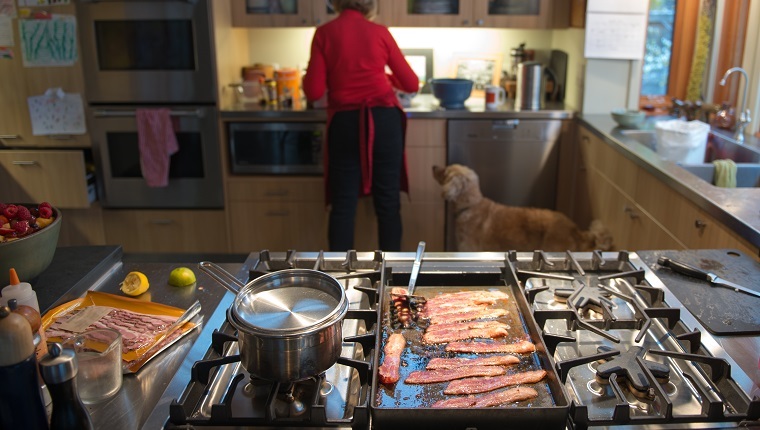 Some of these ingredients can cause allergic reactions in some dogs. You should always use organic ingredients that haven’t been treated with herbicides or pesticides, and nothing you give your dog should have added sugar or artificial sweeteners and flavors. This is the easiest recipe on the list and only requires one ingredient. All you have to do is peel and chop bananas into pieces that will fit in your blender. Pop the banana bits in the freezer (you can use parchment paper) for a few hours until they are frozen. 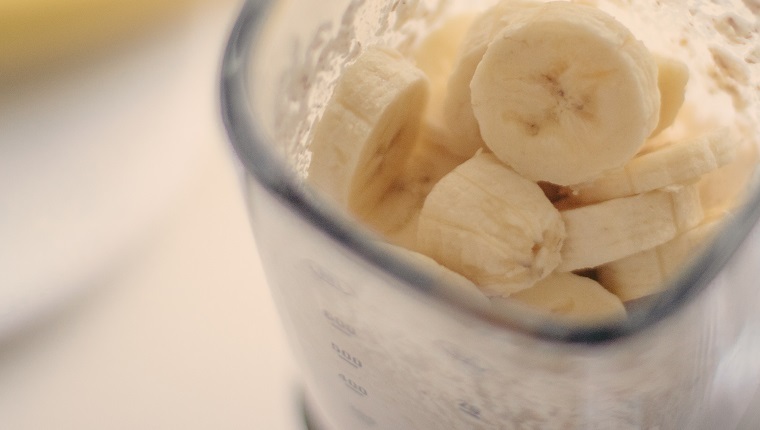 Remove the banana bits from the freezer, put them in the blender, and blend until you get a nice, creamy texture. That’s it. Pour and serve. Wag of the tail to Golden Woofs for the recipe. The process for this recipe is very simple. Just pour all the ingredients into the blender and blend until smooth. Pour the mixture into a mold or ice tray, then cover and freeze for several hours. Once they are frozen, scoop them out and serve. Wag of the tail to Dog Milk for the recipe. First, blend the pineapple, banana, and coconut oil until smooth. Then, take a mold or ice cube tray and place a few pieces of dried fruit in the bottom. Pour the mixture that you blended into the mold to top it off. Freeze for several hours, then serve. These are sweet and delicious, and the dried fruit will give your dog a nice, chewy treat. Wag of the tail to Doggy Dessert Chef for the recipe. Chocolate is toxic for dogs, but carob is an alternative that doesn’t have caffeine or theobromine, which are the substances in chocolate that are harmful to canines. For this recipe, mix all the ingredients in a bowl until they are combined well. Pour the mixture into a mold, ice tray, or cupcake liners and freeze until solid. Take them out and serve. Wag of the tail to The Dogington Post for the recipe. This is another easy one. 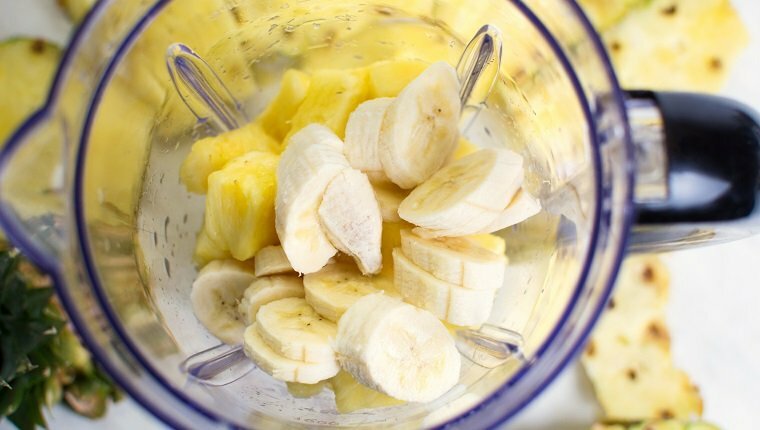 Peel the bananas and cut them so they fit in your blender. Blend the ingredients together until smooth. Pour the mixture into an ice tray or mold and freeze. Take them out once they are frozen and serve. Wag of the tail to lifewithmutts.com for the recipe. If your dog is over the whole sweet thing and wants a little more meat in their dessert, this recipe might satisfy your pup’s craving. Just mix the ingredients well in a bowl, then divide the mixture into a mold or ice cube tray. Freeze, then serve. You can also substitute the carrots and parsley with peanut butter that does NOT have xylitol, sugar, or sweeteners. Wag of the tail to Off Beat Home & Life for the recipe. 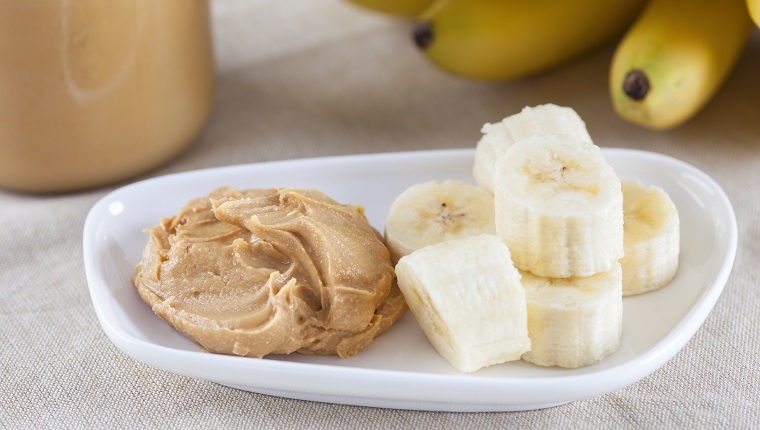 This treat is a nice mix of savory and peanut buttery. Combine the peanut butter, yogurt, and bacon bits into a bowl and mix well. Freeze the mixture in the bowl. Once it is frozen, take it out and start scooping between two dog biscuits to make the sandwich. You’ll be able to make several with this amount. Wag of the tail to The Cookie Rookie for this recipe. Do you know any other ice cream alternative recipes that are safe for dogs? Are you going to make a treat for your pup to celebrate National Ice Cream Month? Let us know in the comments below!